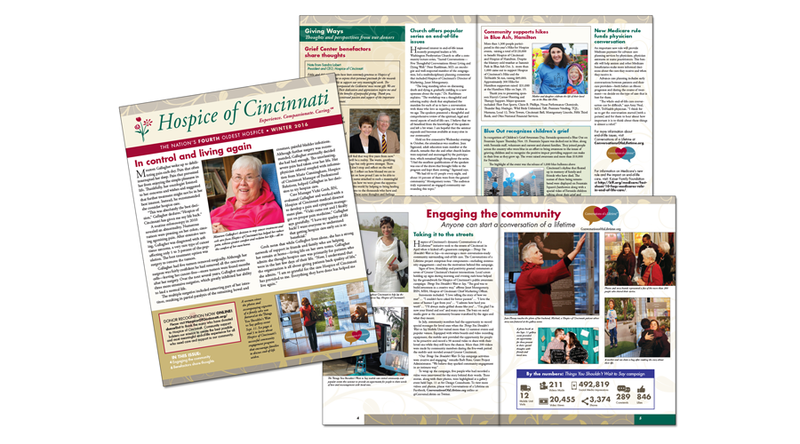 Hospice of Cincinnati: Quarterly Newsletter | Klocke Design Inc.
Hospice of Cincinnati (HOC) specializes in providing comfort, compassion and personalized end-of-life care to all those in need in Cincinnati and Hamilton, Ohio. 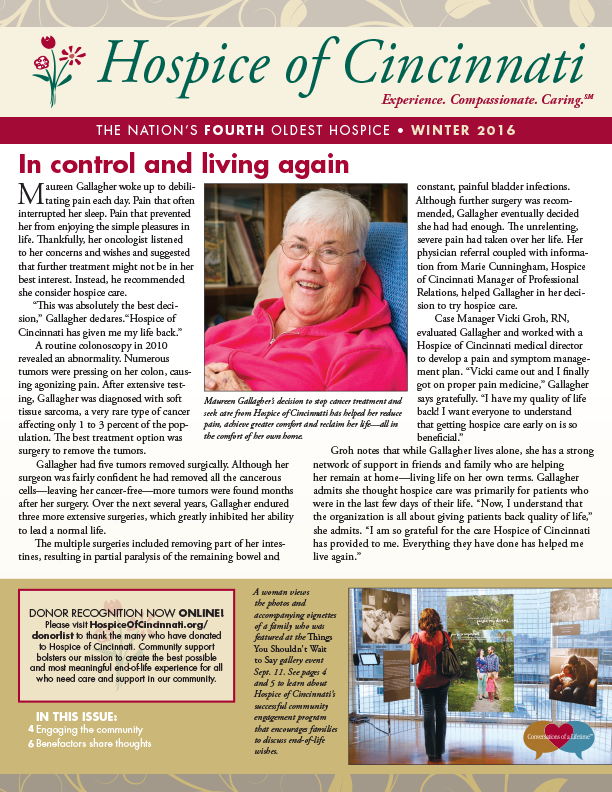 Their quarterly newsletter includes patient features, information on outreach initiatives and advocacy, stories from donors, and articles about supporting HOC. 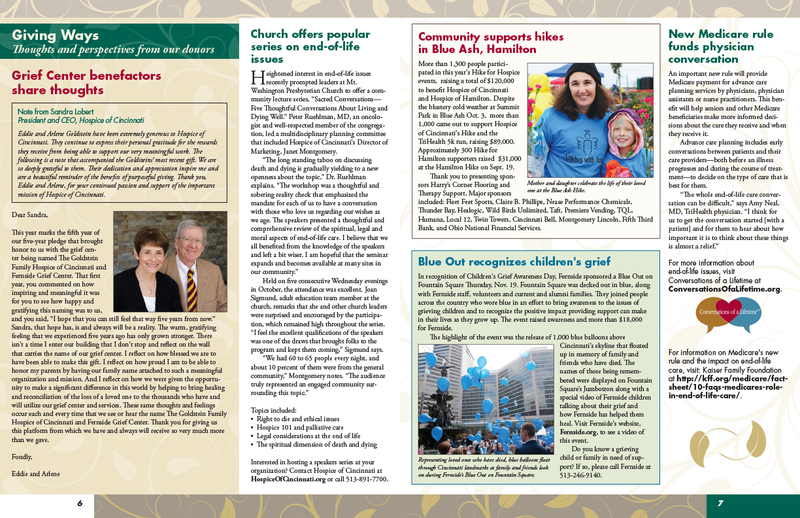 Klocke Design took over the design of the newsletter in 2014. 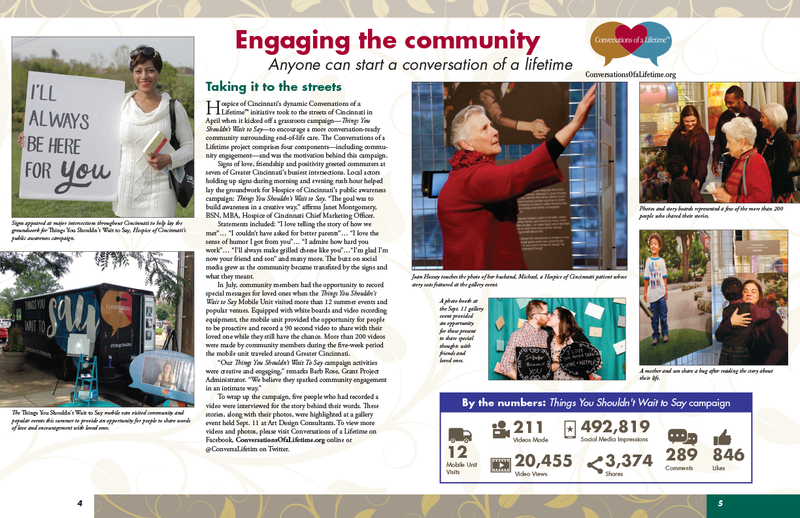 At that time we updated the design while keeping the look and feel consistent with the HOC identity.